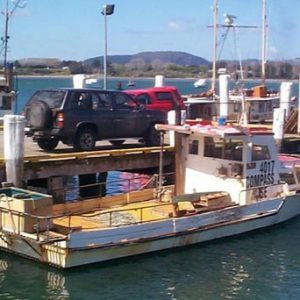 36’6″ modern and stable ferro-cement fishing/work boat. Beam 14’9″. Draught 4’6″. Disp 16.2 tons. 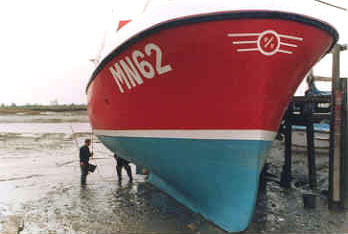 Loading 0.65 tons per inch. 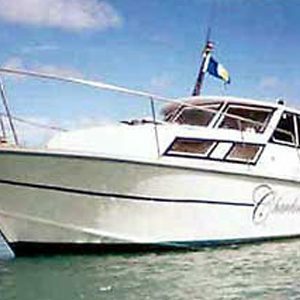 With accommodation for 4, the design incorporates moderate draught for shallow harbours, and large carrying capacity for extended trips. 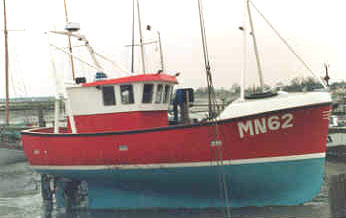 Can be built with forward or aft wheelhouse arrangements. 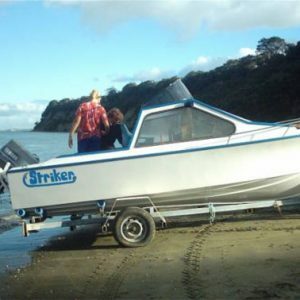 The whaleback forward gives a dry boat while working or in rough waters. 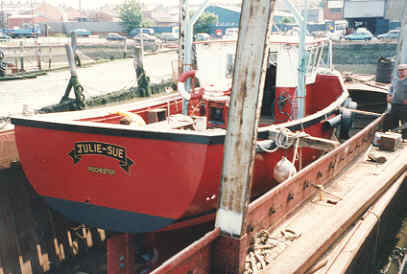 Fireproof bulkheads and a further collision bulkhead can be incorporated without detriment to the accommodation. 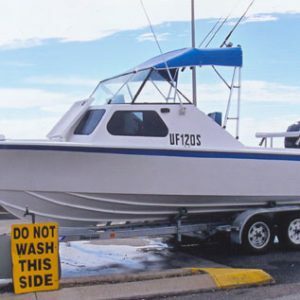 Her easily driven hull can be pushed with converted 6cyl vehicle diesels of 120hp and upwards. Or low speed high torque marine diesels from 72hp upwards. Midship hold 200cu ft. Aft hold 144cu ft. (plus several tons on deck). 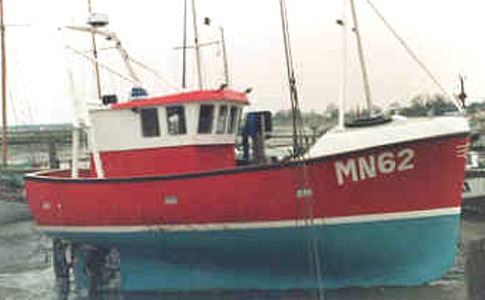 She is ideally suited for trawling, lining, dredging, potting or gillnetting. 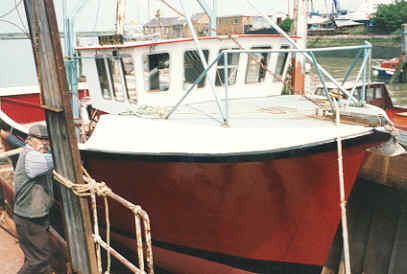 The Searaker hull is also ideal for adaption as a leisure ‘Trawler Yacht’.